If Zlatan Ibrahimovic’s message to David Beckham on his Instagram is anything to go by, then we can expect to see the Sweden legend in an England shirt at some point in the near future. 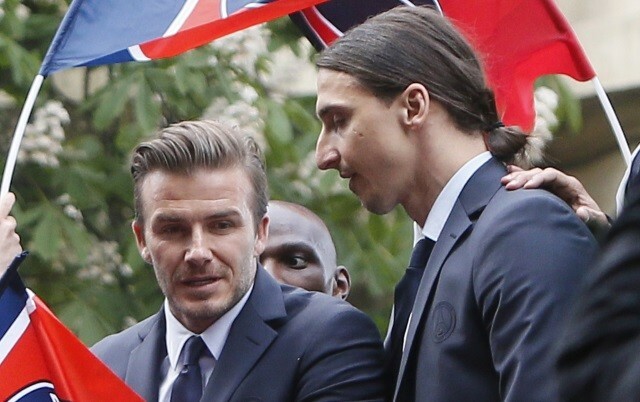 The two former Paris Saint-Germain team-mates put an incredible bet on before today’s World Cup quarter-final between England and Sweden, which Ibrahimovic has ended up losing. He took it well, however, sending Becks the message that he’s ‘coming’, suggesting he will now wear an England shirt and enjoy some fish and chips at a game. We, and we’re sure everyone else, can’t wait to see this! England beat Sweden 2-0 thanks to goals from Harry Maguire and Dele Alli in either half, making it to their first World Cup semi-final since 1990. While it remains to be seen if Gareth Southgate’s side can actually go all the way in the competition, the sight of Ibrahimovic attending an England game at Wembley in full kit is almost victory enough!